I am super excited to announce I will be traveling to Houston Texas for the first time for a photoshoot at the wonderful Shipwreck Cove on Saturday June 16th. This terrific location has several great spots to shoot in including a pool with tiki bar and all sorts of areas that are sure to provide fantastic images. 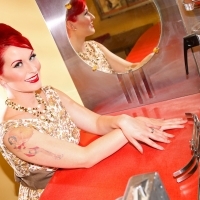 Makeup and hair styling will be available from Heather Williams who has an impressive body work and has been endorsed by our location host, Jenna Von Lish. As this is likely your first exposure to my studio and practices a few sections here have been added as expandable topics there are also links to other pages on this site as well. I’ve tried to keep really important details front and center and other topics you may want to explore further can be. Session fee is discounted for $300 total if a deposit is made by March 23rd. 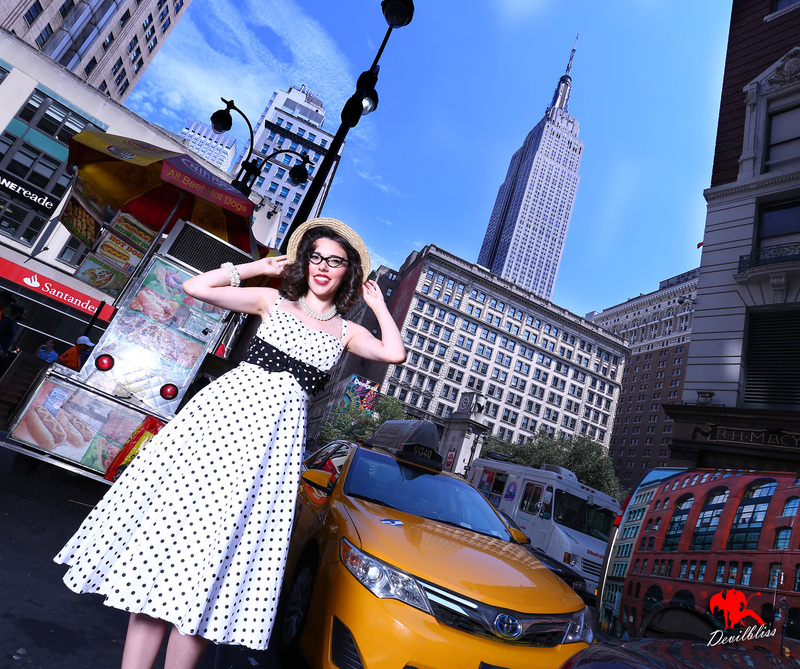 2 custom edited images of your choice retouched to your specifications delivered within 48 hours of selection or 48 hours of my returning to my studio. This being a few time zones away from my studio affects my normal delivery times. Custom edits also mean you can ask for specific things to be addressed. I’ve heard models ask “can you make me look thinner?” and see studios go on and on about “embracing your natural curves”. I believe in that too but I WILL edit your images how you want them to be. You’re the client. I serve you. It’s why I give all the photos too, I want you to choose YOUR favorites. People see things differently. Sure this is my art but they are YOUR PHOTOS. Full copyrights to all the images. Your receipt will include a release from me giving you full copyrights. This means you can make prints as you choose with whatever lab you choose for pricing that is not marked up. You can submit them to magazines as you choose, you can sell merchandise you make from them. They are yours! Additional edits are available at any time from $20 each or 6 for $100. If you choose an edit package a the time of booking there is additional savings. You will be in Makeup and hair with Heather for approximately 1 hour and fifteen minutes and will shoot with me for about an hour. While the location provides for several spots to choose from do be mindful of wardrobe changes eating into your shooting time. I advise concentrating on 2 outfits vs many simply from a standpoint of not spending more time changing than capturing photos, Ultimately it is your call. There may be an opportunity for sessions with longer shoot time and additional fee, but only the last appointments for the day. I will also offer sessions for those who wish to self style at a discounted price of $175 but these would be only first or last appointments. If enough interest exists it might be possible for this to occur on the 15th or 17th. Nothing hidden. No “reveals” where you find out you have to buy prints or products to actually get your photos. You go home with them all and get your edits fast, you will not have to chase me for them. It’s a “thing” with me. Earn 2 additional custom edits for each person you refer who books a session of their own! Terms; A shoot deposit of $150 is required to schedule your session. Remaining balance is due by May 1st and can be remitted in increments as is convenient for you. Deposits and session fees are non-refundable. This is my normal practice for any location or special sessions. I am able to be more liberal with this policy for shoots at my studio that can be recreated, but with locations and events that can not be rescheduled or travel is involved, I can not. If for any reason an act of god results in my not being able to fulfill services a full refund will be issued. In the last 3 years with over 1000 sessions and a million photographs taken this has not happened. This shoot includes some scene options that are outdoors, obviously inclement weather could prohibit some sets from being used. The session does not guarantee all sets will be available due to this variable. The location does however have sheltered options which mean regardless of weather the shoot will go on. Want to learn more about my services and what I do differently? This page has a lot of info on just that topic. You’ve heard it before, highly recommended photographer and you walk away unhappy. I’ve been there, trust me. I’ve walked away with no photos only to be told I have 48 hours to choose from a link, of which I’m not allowed to screen shoot images, and 2 months to order additional photos as photos will be trashed! I’ve had wonderful experiences only to be charged $25 & $50 an edit only to received highly unprofessional editing! I’ve had Muah’s that literally make me unrecognizable and downright terrible. Nothing worse than loving your photos and your makeup ruins the entire session! You love your edits, you do everything required and it’s 7 months later and you still don’t have your edits! Worse, you never receive them. You walk away with photos taken from the same angle! Lastly, the photographer touches you, guides you like a robot, the work you wanted is not produced, you’re told your fat, your treated like your session is meaningless, you walk away feeling like you just visited the doctor with no answers to why you feel so awful. Ladies, the day I walked into Victor Devilbliss’ studio, the atmosphere is welcoming. Every nightmare I had experienced was gone. Michael, aka Victor Devilbliss, is not your everyday photographer. Anyone can stand behind a camera with a paper behind a client and say they are professional. Michael is an artist and you are his canvas. If you have an idea, he will paint with his camera what you desire. You will receive every single photo Michael snapped your photo shoot! The photos are yours to keep and order from WHENEVER you desire! Michael offers discounts on edits and you will receive paid edits within 48 hours! Who does that!? Michael does! Michael allows his clients to pose freely, to do what their heart desires and create the art of which his client has in mind. If asked, Michael will help. But, he most definitely will let you know when to keep a pose of which he feels captures your best attributes. In all my travels and working with photographers, there is no photographer I can truly say is as professional, caring, and budget friendly as Victor Devilbliss! 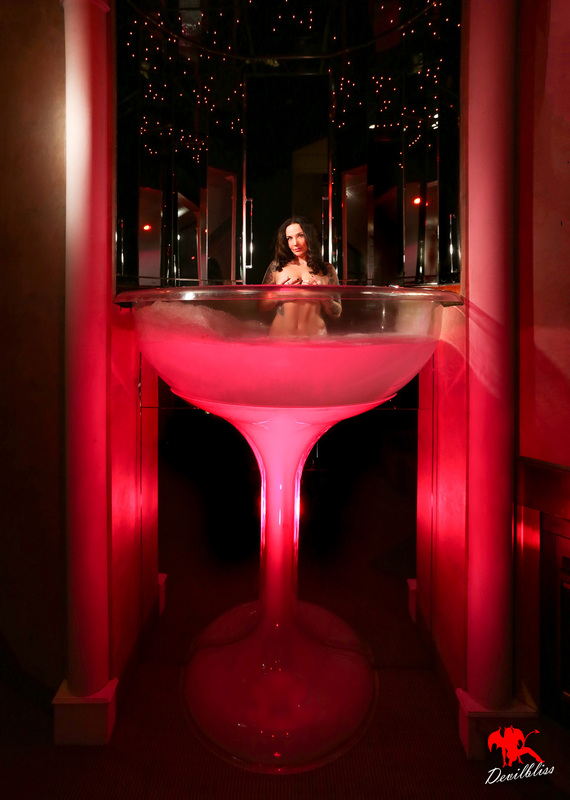 He truly is a bucket list item every woman should have. Why work with me? Well foremost you can review my work samples on this site and location samples via a gallery below… you need to like what I do with the photos. But I’m from half the country away, how do you know you’ll get what you pay for? I like to think you’ll get more than you’re accustomed to. But for your peace of mind consider this isn’t my first rodeo. I have conducted location sessions in Illinois, Virginia, New York, New Orleans Louisiana, California. And as a wedding photographer I’ve worked in Florida, New Jersey, Connecticut, Maryland, Washington DC and Bermuda (that was a lot of fun). 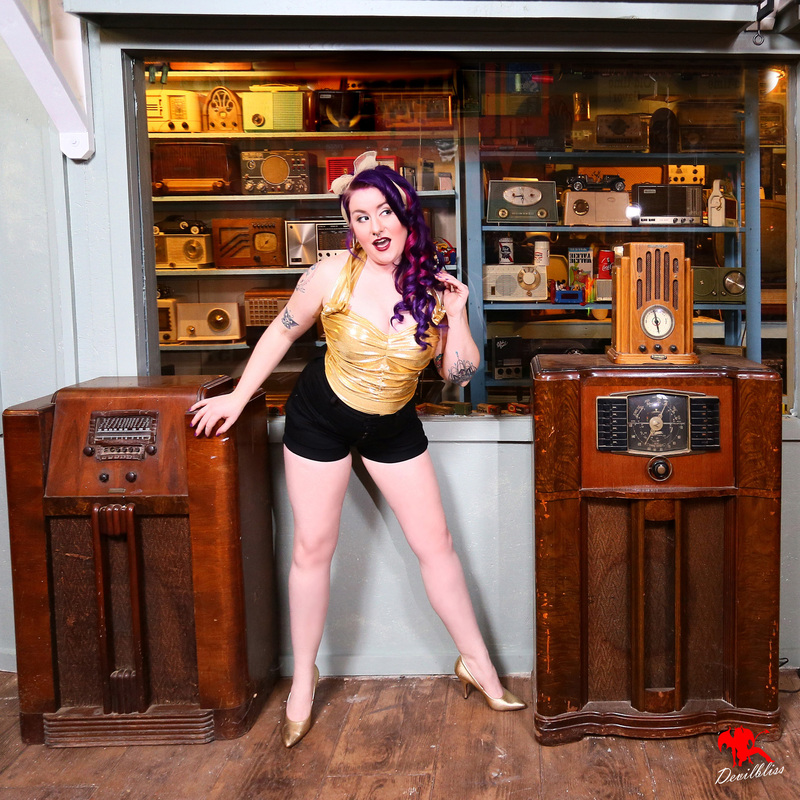 At my studio in Pennsylvania I have hosted traveling photographers including Boudoir Louisville of Kentucky and Dynamite Dames of Texas who I am actually hosting again in July for a 3 day, nearly sold out dual session. Yeah I’m internationally published like every other model and photographer on the planet but unlike most I can claim having had 2 news stand covers (not magcloud/print on demand), this is to say you could walk into Wal-Mart and see my work on a rack. I’ve also been published countless times over the years in major large scale magazines, newspapers and books. My studio also hosts clinics and workshops ranging from Burlesque to Makeup and Hair classes to photography workshops and editing classes. We are even hosting a tarot card reader in March. 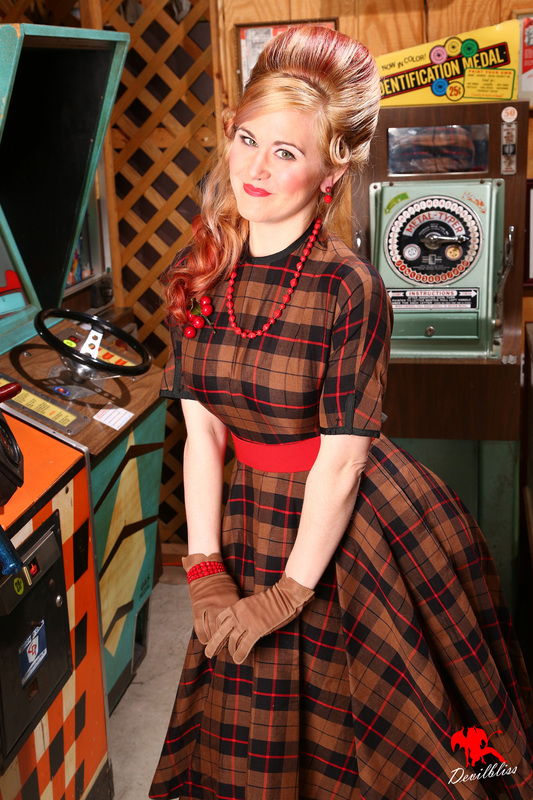 Annually we also have a free social gathering called Pinup in the Park where our clients and family, friends and fans descend upon this classic amusement park near our studio to have fun outside the “business” of the studio. 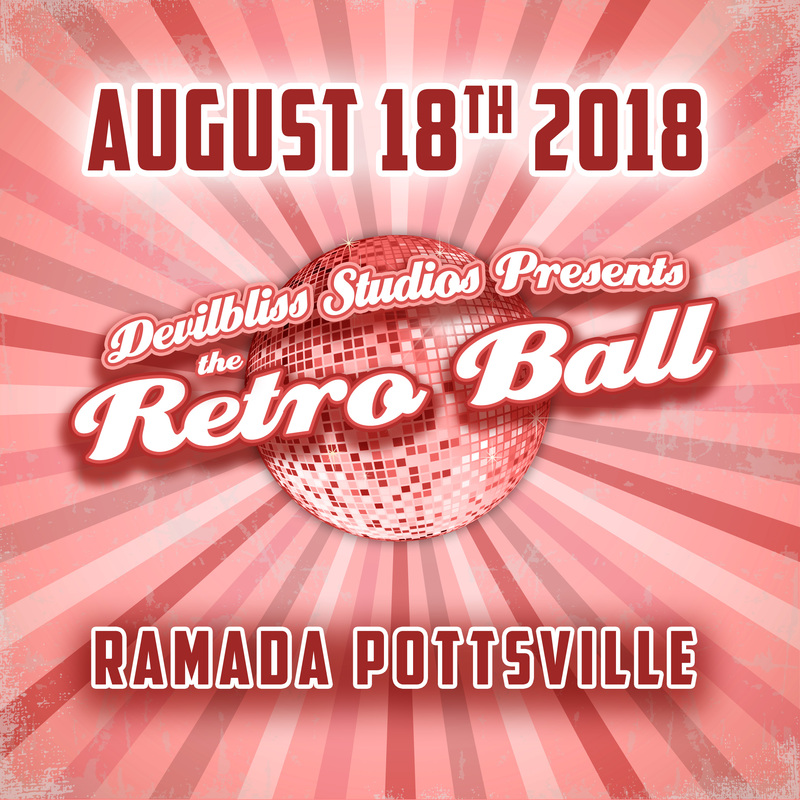 The studio also sponsors a Retro Ball for adults to dress up and get together as if it were a prom or country club party from yesteryear. 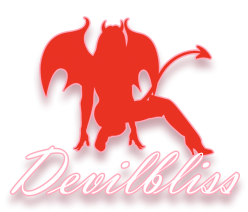 You can actually take a peek into our community by visiting AND JOINING our facebook group, I’m A Devilbliss Girl with just about 1200 active members who will surely give you the peace of mind to not worry at all about this session. Not too long ago, one of the members of the I’m A Devilbliss Girl group on Facebook (if you’re a lady and not a member already you really should join) Lizz Maldonado who is now also part of The Team here posed the question to the group about planning an event to get together. Over the years there have been various outings where we’ve connected socially outside the studio and they have been terrific. It’s been a time where significant others get to take part and socialize. Lizz had also approached me privately about an event and recently group member Karen Snyder did the same, echoing Lizz’s comments to me nearly identically. 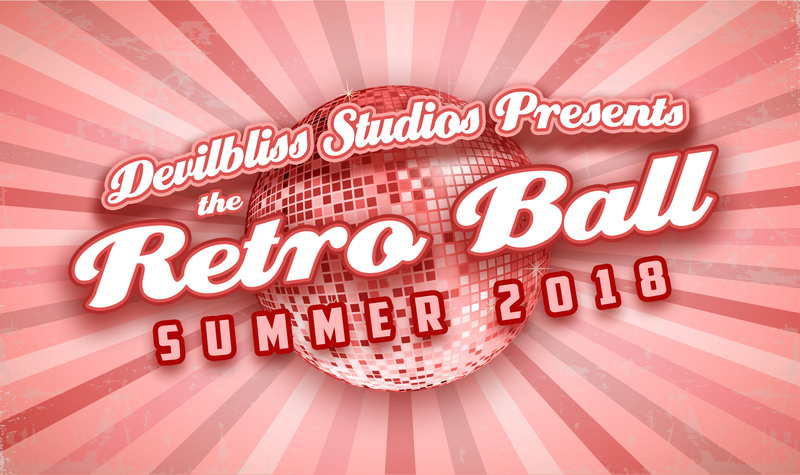 So the three of us started a discussion and we are pleased to announce we are moving forward with The Retro Ball. 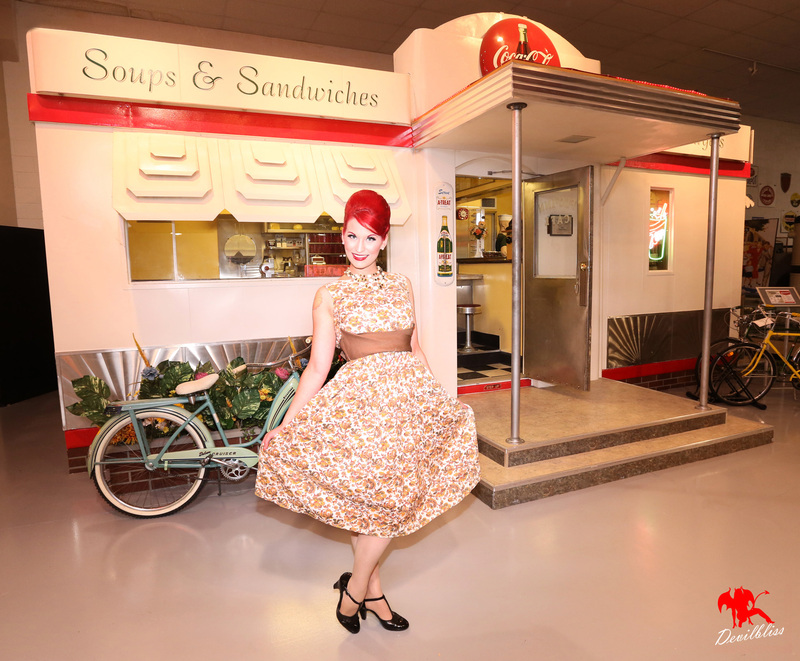 The Retro Ball is a party held for lovers of the retro lifestyle. Do you love old cars? Music kids would call “classic”? Mid-Century culture? You are not alone! Join us at the Ramada in Pottsville on August 18th for a gathering of people just like you. 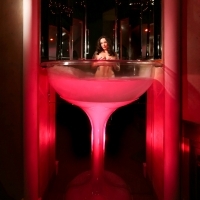 Brush off your ball gowns and leisure suits and get ready for one of the best adult themed gatherings of this type. This event will feature an OPEN BAR. Play it safe, stay the night, we have a block of rooms reserved for us with the Ramada. Simply state you’re attending The Retro Ball when you phone them. This page will be updated as more information is added. There is now a Facebook Event Page here. And you can watch the Devilbliss FB page, join the newsletter and if you are a lady, DO join the I’m a Devilbliss Girl Facebook Group for all the current news on this and other events. I am very excited to announce a very special guest is coming to Devilbliss Studios. Sunday March 25th join us as Rev. 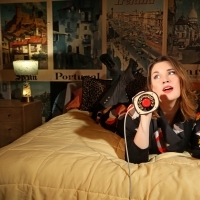 Brooke will offer Certified Holistic Tarot readings. Conversational style, with an emphasis on framing the information from spirit in a way that the client can actually use. Brooke is offering discounted sessions for this event at $30 and will take 30 minutes. If you can’t make it DO visit her in Jim Thorpe at The High Priestess Metaphysical Boutique. I feel it’s important to note that a few months ago I visited Brooke at her shop in Jim Thorpe PA, one of my favorite places on earth and somewhere I have always felt a certain energy. I left with a nearly indescribable feeling that absolutely permits me to recommend this and her to everyone. Beyond her work in the spiritual realm I can also add I’ve known her since about 2009 when I learned of the first PA Burlesque festival she was putting together. 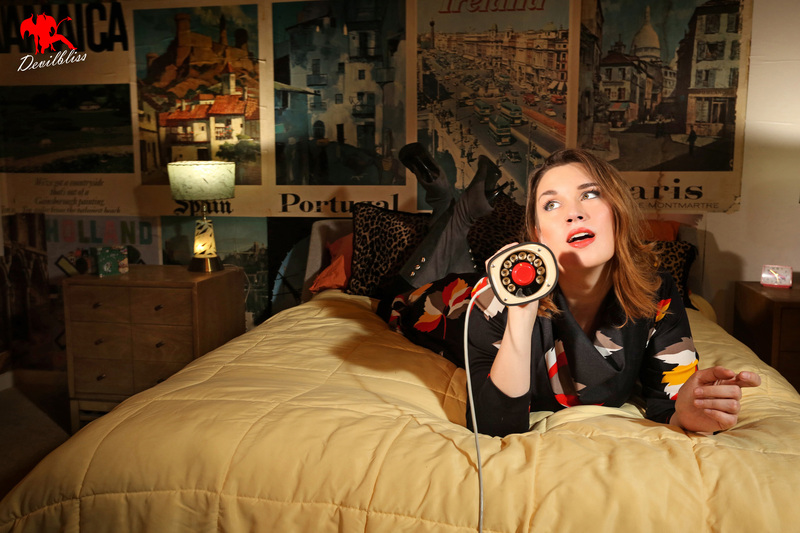 We endeavored on some things with that, a photoshoot I did at the Gilded Cupid and eventually my magazine Retro Lovely being one of that first festivals sponsors. She is as genuine as they come and I am proud to know her and grateful to call her friend. 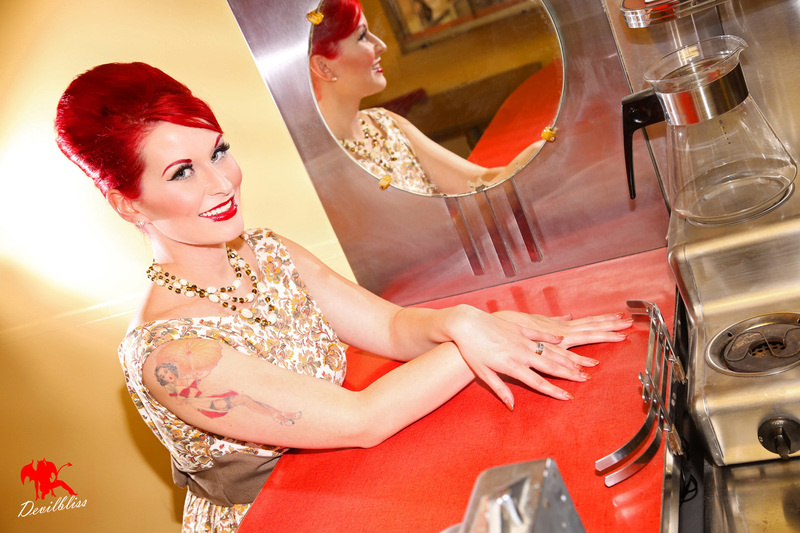 This date is also that of the Makeup and Hair Workshop we are holding at the studio with Lizz Maldonado and Millie Mie. I thought this would be opportune as there will be some people coming for it who may well like to take advantage of a reading while they are in the studio. As the workshop will run through about 3:00 Brooke will offer sessions for attendees after that time and will conduct them before then for those who aren’t attending the workshop. I know for a fact the energy in the studio that day will be significant and uplifting. Want a session with Brooke? Click the graphic! ANOTHER SAVE THE DATE! I am pleased to announce a Makeup and Hair Workshop at Devilbliss Studios with two new members of the Team. 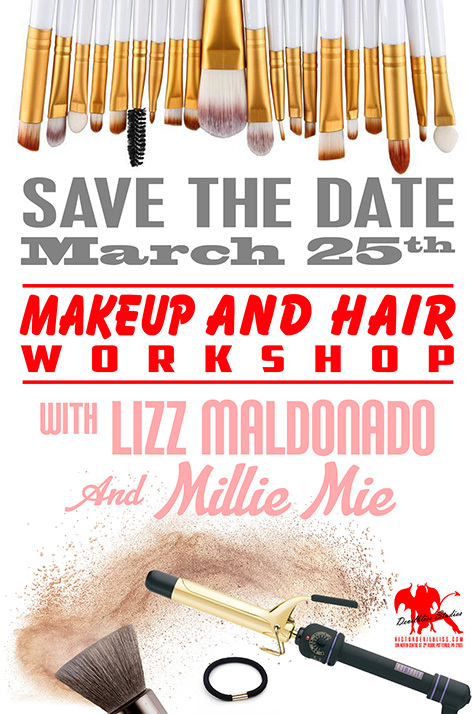 Please welcome Lizz Maldonado and Millie Mie and join us on Sunday March 25th for a Makeup and Hair Workshop. This will be a fantastic opportunity for those of you who’d like to pick up some tips and tricks from two professionals immersed in their fields. The event should last about 3 hours in total with each presenter spending about an hour on their topics with roughly an additional hour where I will conduct a portrait session with whoever may volunteer as a subject for the demonstration. Fee is $45 but everyone who attends will also get a coupon good for $25 off any in-studio private session PLUS there will be door prizes. This would also be a FANTASTIC opportunity for those of you on the fence about a shoot to join in, see the studio, meet some AMAZING Devilbliss Girls and have a fun time. There will be refreshments and as this is just a few days after my birthday I may solicit a carrot cake from Momma Millie’s to share as they are BOMB, my favorite, and a custom order from her otherwise. SPACE WILL BE LIMITED. DO NOT WAIT! Doors open at 11:30, stop by, mingle, check out the studio if you’ve never been to it before and browse the wardrobe. Workshop begins at noon. Please familiarize yourself with the studio location here. Please heed all the guidance on that page. There’s even a video showing you the entrance! Sled Fest 2018 & Sled Works After Dark. Saturday April 28th. Sled Fest 2018 Shoot Details What makes these Deluxe Sessions? In 2017 Sled Fest sessions were $295 with MUAH included, all photos and 2 hours total time. One hour in styling plus another hour shooting. The Sled Fest 2018 sessions are from $325 with 1.5 hours in styling and 1.5 hours for shooting 3 hours total! 50% more time for just over 10% more cost if booked by February 28th. Price will increase if it does not sell out prior to that date. (odds are excellent it will sell out) There are only 4 or 5 of these sessions available for booking. Sled Works After Dark. Anything Goes! By special arrangement we are able to offer sessions after Old Sled Works closes to the public. Why is this exciting? One reason is that during those time slots there will be NO CUSTOMERS lurking about the facility other than owner Jimmy Rosen who will be on hand to assist. This also means anything goes as far as wardrobe is concerned, or lack thereof. Below is an example by my good friends of Boudoir Louisville. That’s GoGo Amy and the crew of the Pretty Things Peepshow. As you can see, that sort of dress code would not be appropriate for normal business hours at a family establishment. Only 4 or 5 time slots are available for these sessions with the last finishing at midnight. Ready to book your session? Click this link! Special form for this session launches in a new browser window.